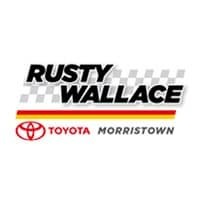 If you’re looking for an affordable used car that fits comfortably into your budget, then you’ll want to browse the selection of used cars under $10,000 at Rusty Wallace Toyota. We know how expensive the car-buying process can be, which is why we offer a selection of makes and models that fit into more driver’s budgets. Contact us or visit us at your leisure to peruse our accessible Toyota models; our staff will be happy to show you our variety of affordable used cars for sale in Morristown and take you on some test drives!